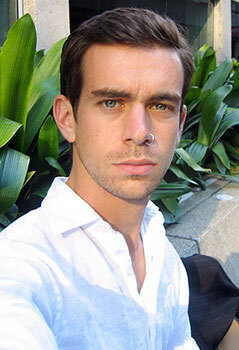 Jack Dorsey was born on November 19, 1976, in St. Louis, Missouri. He started his occasions with computers early, and at age 14, he created an open-source program for dispatch routing, still in use till recently. Jack went to high school at Bishop DuBourg High School, and attended Missouri University of Science and Technology. While working on dispatching as a programmer, he later moved to Oakland, California. In California in 2000, Dorsey started his company to dispatch couriers, taxis, and emergency services from the Web. His other projects and ideas at this time included networks of medical devices and a frictionless service market. In July 2000, building on dispatching and inspired partially by services like LiveJournal and AOL Instant Messenger, he had the idea for the real time status communication. When he first saw implementations of instant messaging, he had wondered if the software's user status output could be shared among friends easily. He approached Biz Stone from Odeo (directory and search destination website for RSS syndicated audio and video), who at the time happened to be interested in text messaging. Dorsey and Stone decided that SMS text suited the status message idea, and built a prototype of Twitter in about two weeks. The idea attracted many users at Odeo, as well as investment from Evan Williams, the founder of Pyra Labs and Blogger. The working concept of Twitter is partially inspired by the cell phone text messaging service TXTMob. We wanted to capture that in the name — we wanted to capture that feeling: the physical sensation that you’re buzzing your friend’s pocket. It’s like buzzing all over the world. So we did a bunch of name-storming, and we came up with the word "twitch," because the phone kind of vibrates when it moves. But "twitch" is not a good product name because it doesn’t bring up the right imagery. So we looked in the dictionary for words around it, and we came across the word "twitter," and it was just perfect. The definition was "a short burst of inconsequential information," and "chirps from birds." And that’s exactly what the product was. Work on the project started on March 21, 2006, when Dorsey published the first Twitter message at 9:50 PST: "just setting up my twttr". In July 2006 Twitter moved from an internal service for Odeo employees, into a full-scale version in July 2006. In October 2006, Biz Stone, Evan Williams, Dorsey and other members of Odeo formed Obvious Corporation and acquired Odeo and all of its assets—including Odeo.com and Twitter.com—from the investors and other shareholders. The tipping point for Twitter's popularity was the 2007 South by Southwest festival. During the event usage went from 20000 tweets per day up to 60000. The Twitter people cleverly placed two 60-inch plasma screens in the conference hallways, exclusively streaming Twitter messages. Hundreds of conference-goers kept tabs on each other via constant twitters. Panelists and speakers mentioned the service, and the bloggers in attendance touted it. Soon everyone was buzzing and posting about this new thing that was sort of instant messaging and sort of blogging and maybe even a bit of sending a stream of telegrams. The 140-character limit on message length was initially set for compatibility with SMS messaging, and has brought to the web the kind of shorthand notation and slang commonly used in SMS messages. This limit has also spurred the usage of URL shortening services such as bit.ly, goo.gl, and tr.im, and content hosting services, such as Twitpic and NotePub to accommodate multimedia content and text longer than 140 characters. The Twitter Web interface uses the Ruby on Rails framework, deployed on a Ruby Enterprise Edition. The messages were handled initially by a Ruby persistent queue server called, but since 2009 this has been gradually replaced with software written in Scala. The service's API allows other web services and applications to integrate with Twitter. To group posts together by topic or type, users make use of hash tags, words or phrases prefixed with a #. Similarly, the letter d followed by a username allows users to send messages privately to their followers. Otherwise, the @ sign followed by a username publicly states the attached tweets are a reply to (or just mention) any specific users (who can find such recent tweets logged in their interface). In late 2009, the new Twitter Lists feature was added, making it possible for users to follow (and mention/reply to) lists of authors instead of following individual authors. On March 2010, Twitter has recorded a 1500 per cent growth in the number of registered users, the number of its employees has grown 500 percent, while over 70000 registered applications have been created for the microblogging platform.